Rabia Islam graduated from University in 2013 with a B.A. in Business Law. She then pursued further studies at the University of Strathclyde achieving an LLB in 2016 and a Diploma in Legal Practice in 2017. Rabia began her traineeship at Claphams in November, 2017. 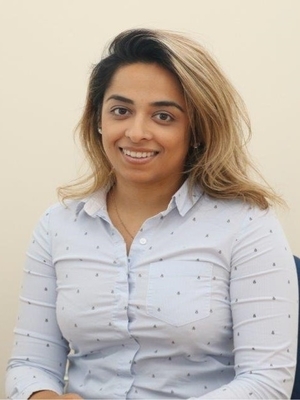 She was admitted as a solicitor in December 2018 and is completing the last year of her traineeship. She is engaged in all aspects of private client work involving Wills, Power of Attorney, Conveyancing, Matrimonial and Executry work. Rabia is of course closely supervised in her work by the partners. She is focused, has a high level of concentration and considerable commitment to the practice of law. Rabia is trilingual and will be happy to take instructions in Punjabi and Urdu in both of which she is fluent.